My first instinct in winter is to pull the blankets up under my chin and marathon Netflix, but with a barn full of ponies, chores are always delaying my hibernation. With the short days and finger numbing temperatures it seems just as I finish the morning chores, I’m having to trudge back out for afternoon feeding. It’s exhausting! Recently I have found a few helpful tricks to ease the wintery load and add a little more fun to my daily routine. 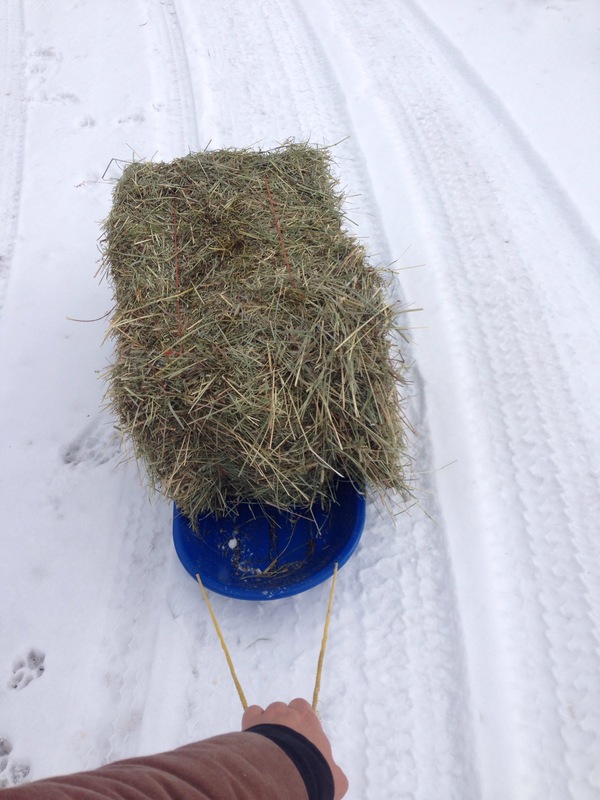 After enduring mountain winters for the past few years, I decided to confiscate my nephew’s sled and employ it for barn chores. Mornings I hike up the hill, towing my sled with two tubs of hot mash for breakfast, it slides right behind me into the feed room. It transports feed buckets to all of the outside stalls and back again. I can precariously place an entire bale of grass hay on it and tug it along to the various slow feeders in all the paddocks. 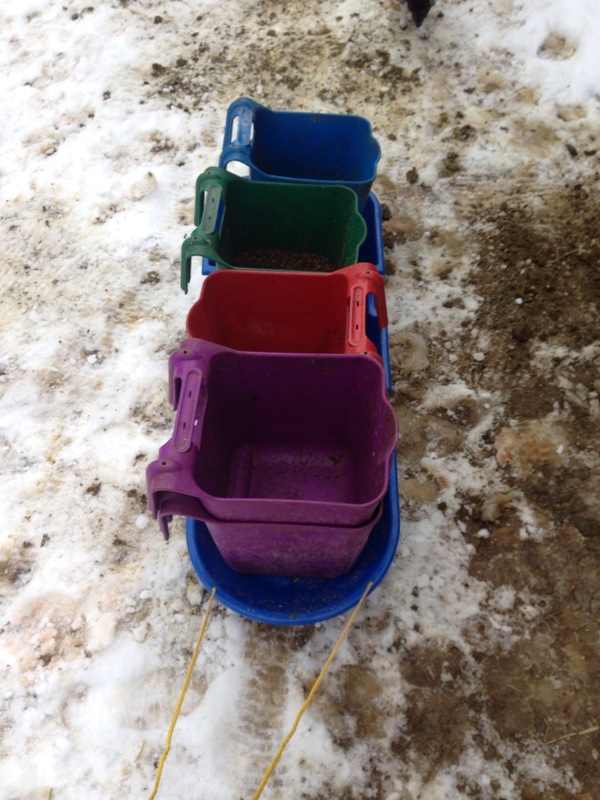 Although it took a little finagling, both of the manure buckets will slide on it, just don’t get them too full or the sled gets a little tipsy. I might consider a bigger sled for that next year. Sloshing water from water buckets form icy pools in its bed, saving my pant leg from becoming a moving ice cube. Even a few feed sacks ride neatly from the feed room to the chicken coop. I have yet to explore all the possibilities of my new found sidekick. However, like any good tool it has its faults. 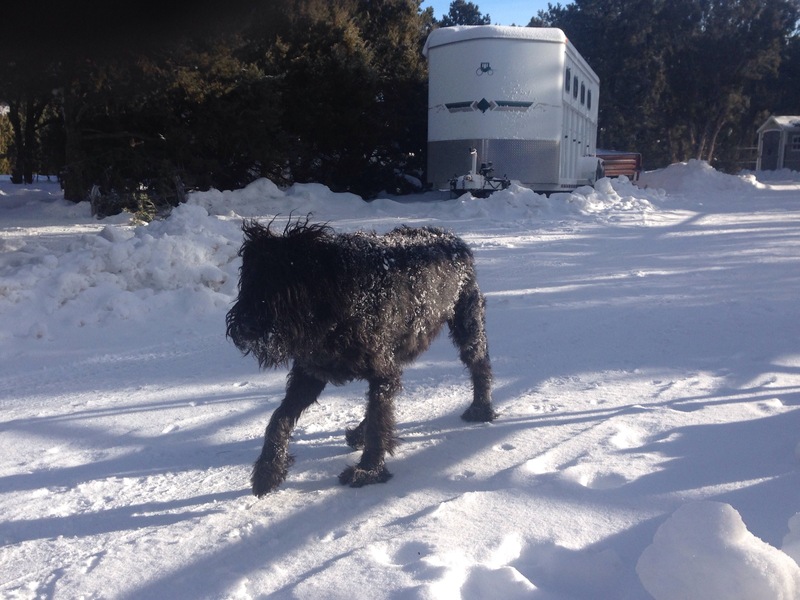 It will take a nose dive in deep snow and tip its contents off to the side, or it will zoom by on slick harpack leaving everything behind, me included. I’ve had a few choice word for my little, blue sled when it gets unruly but when the day is done I still have a child like excitement to ride it back down the hill with dogs barking and chasing until I crash into the snowbank at the back door and come up laughing and sputtering. It makes me want to stay out side a little longer and enjoy the wonderland, maybe even make a snowman, before spring’s fingers reach out and melt away all my fun and put my sled out of service until next snowfall. Not all my winter tools are as fun and nostalgic but so many household items can help out at the barn, such as a strainer with a handle to swipe out ice in water troughs. What other items have you used to beat the winter barn chore blues?